This mold produces very, very tiny flowers and hearts. Please check the ruler picture for size prior to purchasing. 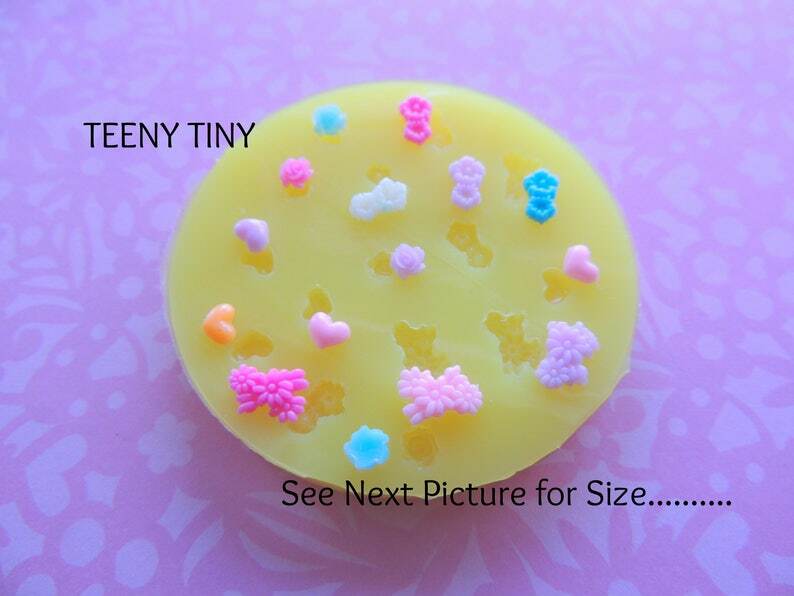 This mold works with Resin and Polymer clay to make teeny tiny miniature flowers and hearts. My mold arrived quickly and was exactly as described. I haven't had a chance to use it yet, but it looks great. Can't wait to try it out! One of the hearts in the mold had a bubble in it and is unusable, but all the other parts of the mold were great, and they are the perfect tiny size I was looking for. I've only used the roses so far. Truly tiny, but so detailed! Perfect for embellishing PMC earrings. Thanks for the extra mold!